I wanted a small upright piano that sounded good. I looked at lots of makes and styles of piano, and then I played a Grotrian-Steinweg. I loved the touch, the golden tone, the sleek and stylish look of their pianos. Ben was enormously helpful – and once I played the Cristal I felt this was the piano for me. It was love at first sight, love at first hear. It looks great in my lounge. Pianist friends have played it and they say: ‘it’s a gorgeous piano’, and ‘beautiful, just beautiful, it’s so beautiful’. I agree! I was the sort of person who played piano once a week at best, or, more typically, once a month. I felt if I had a really lovely piano then I would play more. With my Grotrian I now play for over an hour every single day, and on some days I play for 2-3 hours a day. My Cristal is an utter joy to play – the sensitivity, the touch, the tone. I can’t really find the words… It’s just the best thing I have ever bought in my life. 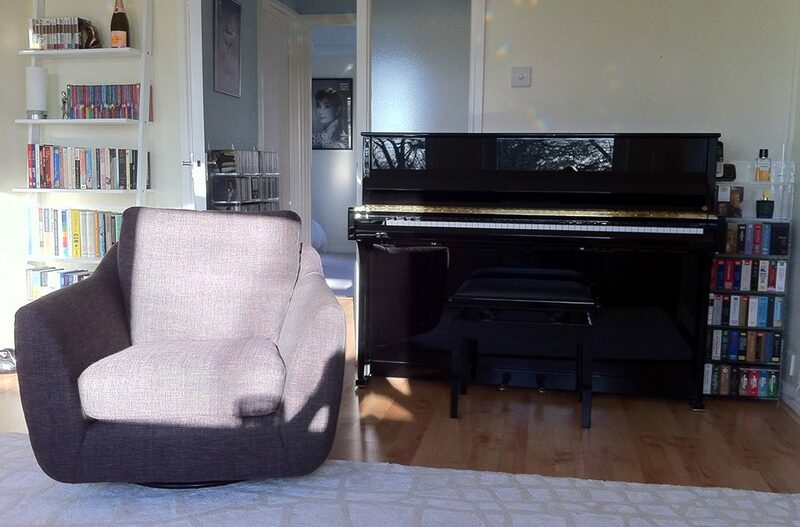 I adore my new piano – it has soul. It seems to be alive… And it has made me more alive. Everyday.